That’s a Wrap! What a Season! 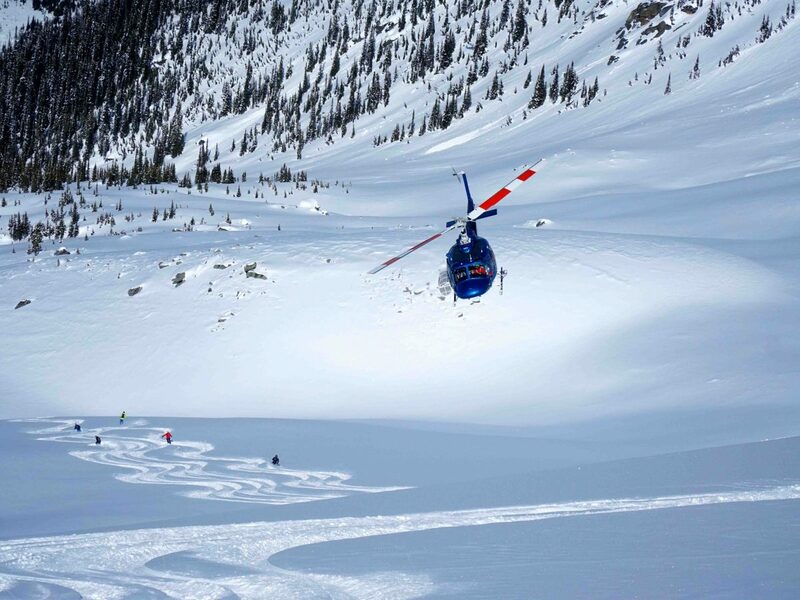 The final countdown is on here at Crescent Spur and our whirlwind of a season will be coming to a close in just a couple of days – it truly flew by this year! 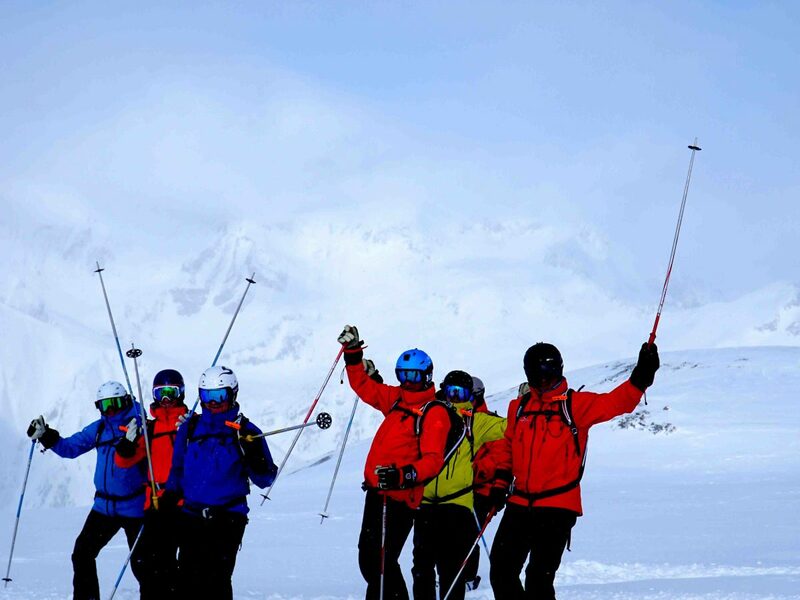 Tour 13 was a week of mild temperatures but still plenty of great skiing, and the groups spent every day down south on the glaciers. 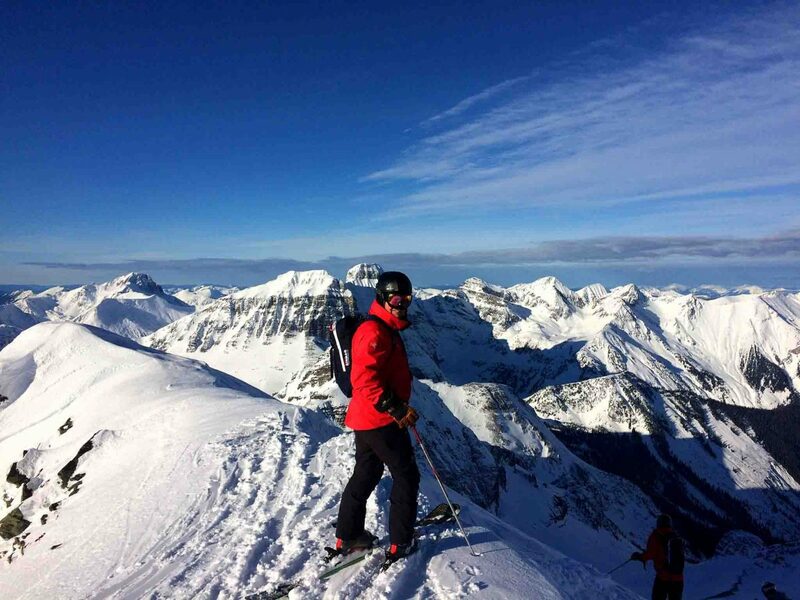 Clear skies and sunshine meant unreal views and spectacular mountaintop lunches, and low hazard allowed the groups to explore tons of terrain and even ski some brand-new runs. 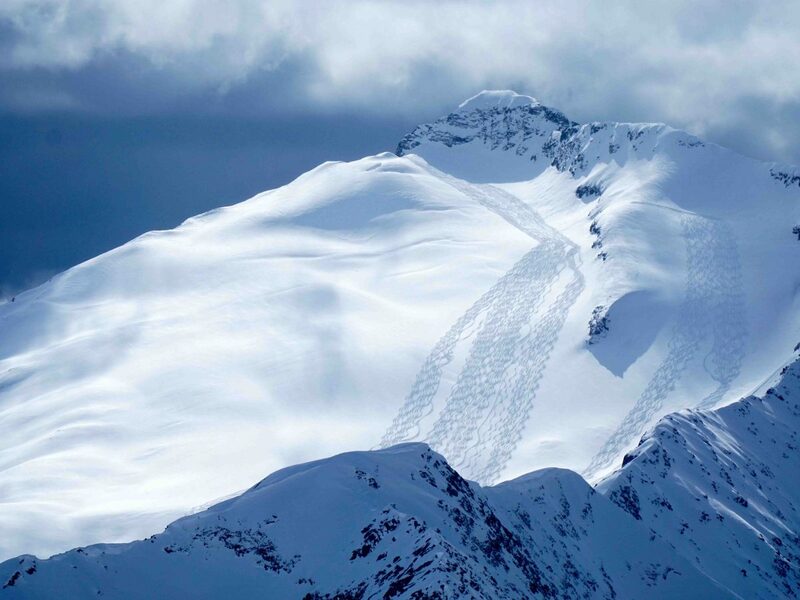 We had a clear and mild start to Tour 14 but that quickly changed as a spring storm rolled through on Tuesday and dumped upwards of 40cm in some areas of our tenure. 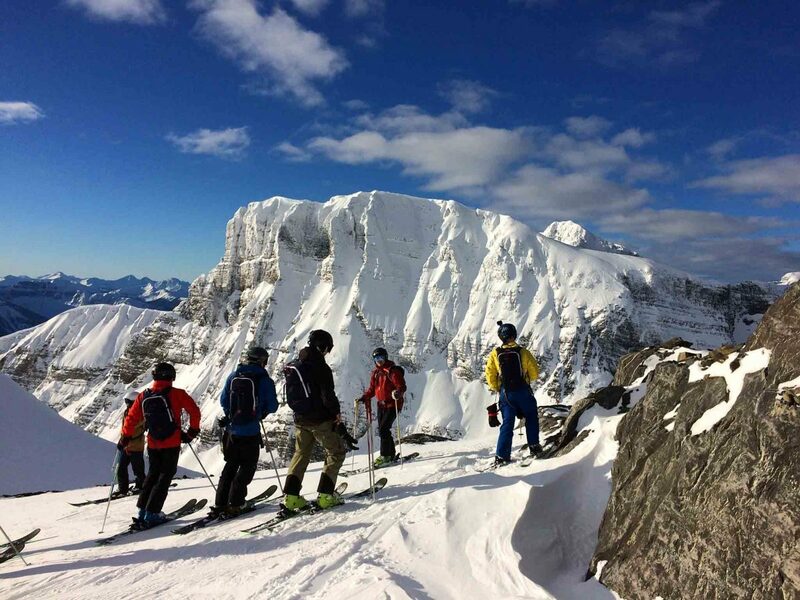 The sun was back out by midday Wednesday and stuck around for the remainder of the week so the groups were able to take full advantage of the long days and ski late into the afternoon. Andre will be very missed by all of us at CS! The week was also slightly bittersweet for us as it was the last shift our long-time pilot Andre would be spending at Crescent Spur. We’re sad to see him go (and know many of our guests will miss him too) but we wish him the best in Australia and can’t wait to hear about all the new adventures that await down under. 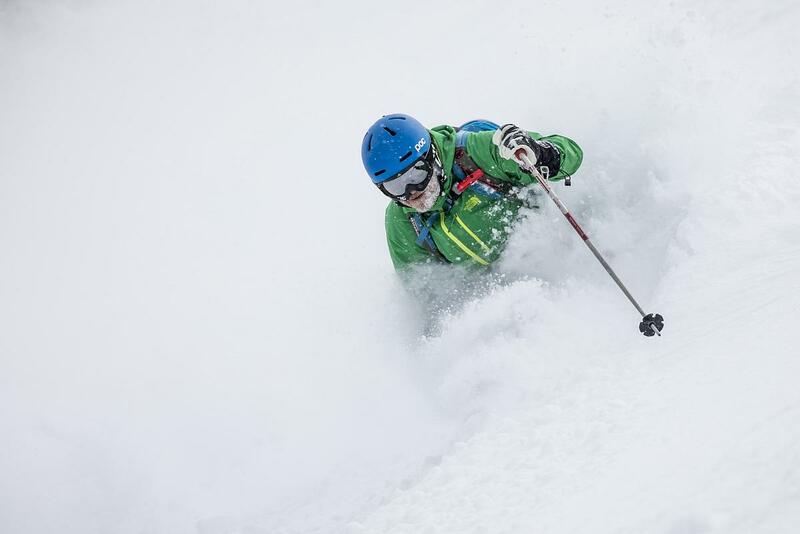 Tour 15 wrapped up our 2019 season, and it was a great week of classic spring alpine and glacier skiing. 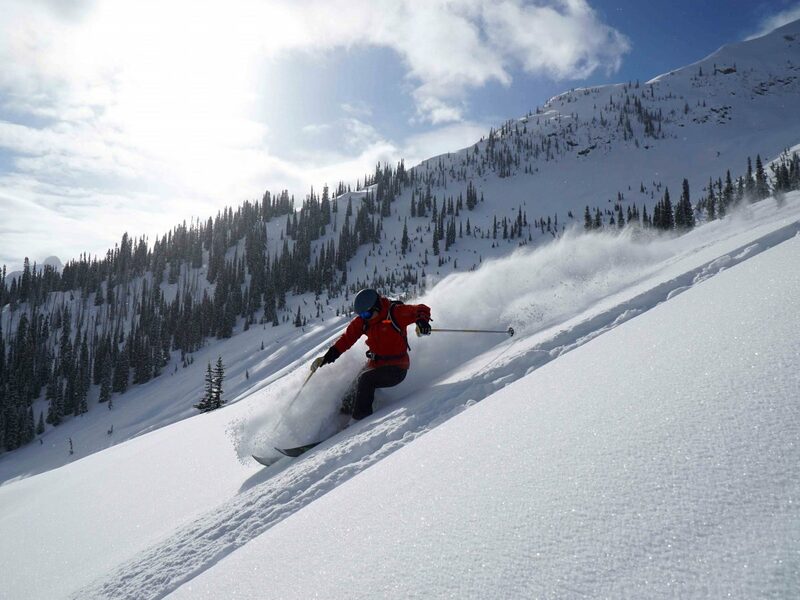 The beginning of the week was warm and sunny but overnight temperatures dropped and conditions were excellent, allowing the group to ski lots of classic Spur runs, plus a few new ones. 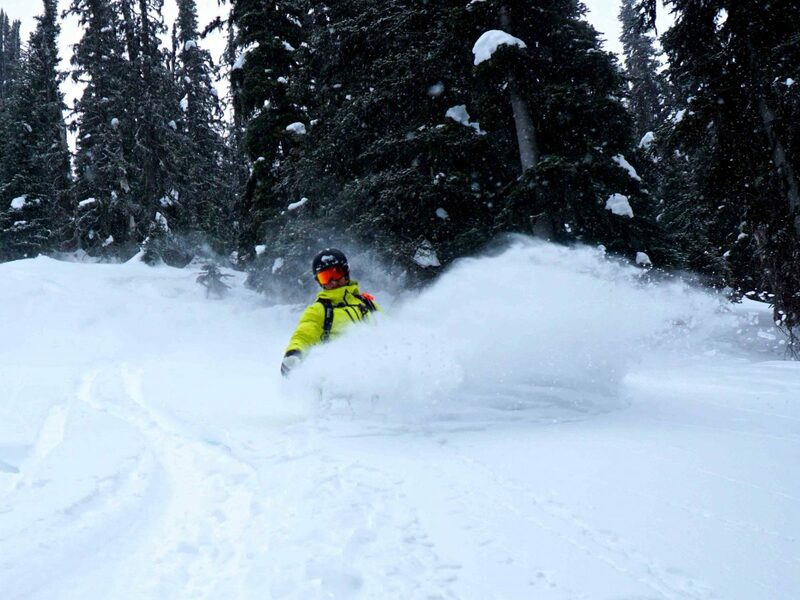 Wednesday night brought 20cm of new snow which meant an awesome finish to the week and to the season! What a View! 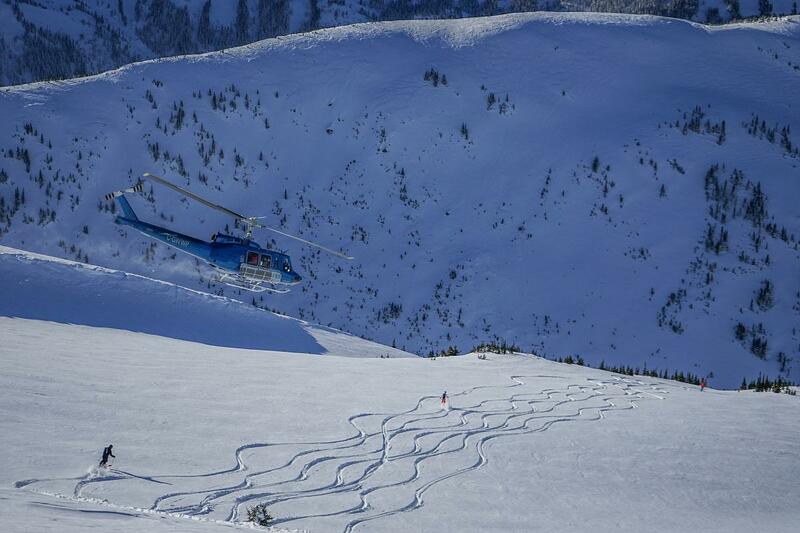 Spring Skiing in all its glory! Thank you to all of our wonderful guests for an awesome season! A fantastic end to a fantastic season! We’re now in full shut down mode at the lodge and in a just few short days the team here will be packed up and saying our goodbyes for the summer. A huge thank you to everyone who joined us this winter, we hope you had as much fun up at the Spur as we did and your summers are filled with sunshine and good times. We can’t wait to see everyone again in 2020! Tours 11 & 12 – Spring has Sprung! 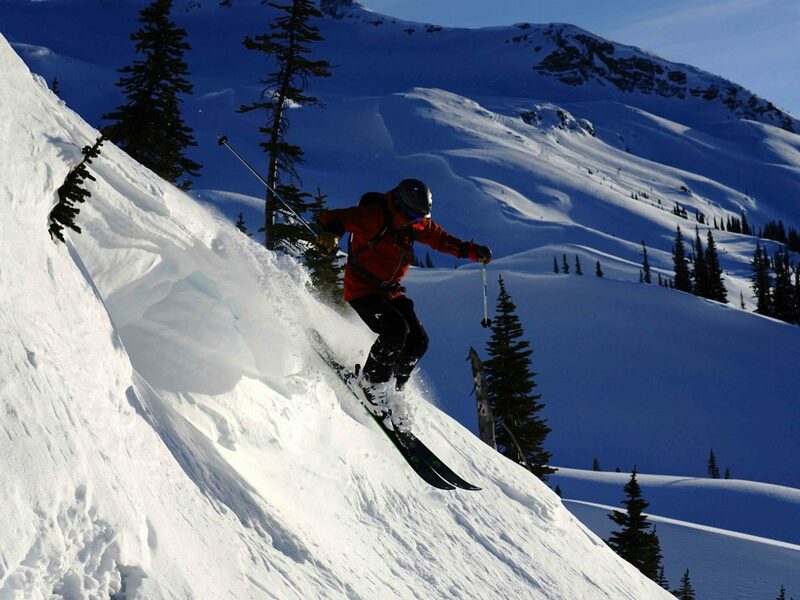 Spring is sprung, the grass is riz, and we know where the great skiing is! 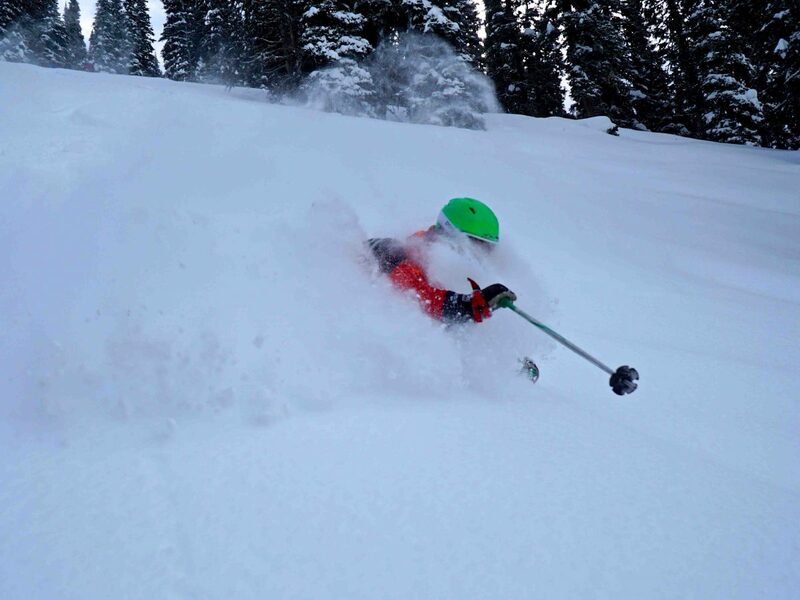 Springtime is making a bold entrance at Crescent Spur, and although temperatures have been pushing 10+ degrees and things have been starting to look a little greener down at the lodge in the last couple days, there is still tons of great skiing to be had up in the alpine. 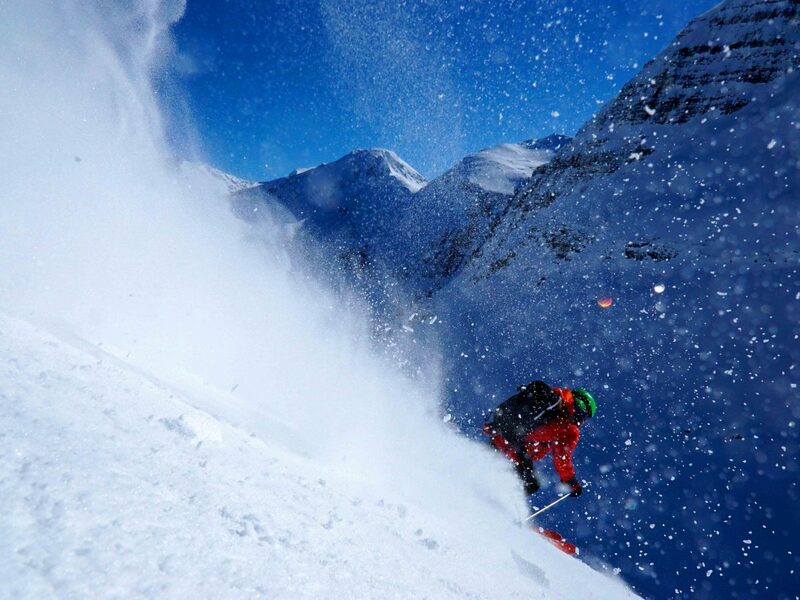 Tour 11 was welcomed with three days of cold temperatures and sunny blue skies, and the groups spent the beginning of the week down south on less-frequented runs like Braveheart, Waimea and Arc It Up. Low hazard meant they were able to access some great steep runs and a definite highlight was skiing Backside Belt Grinder in Quartz Creek in the middle of the week. 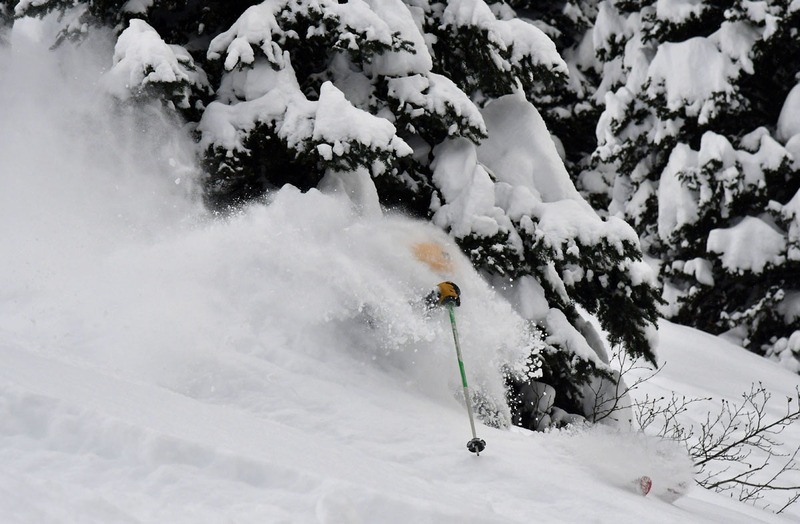 Thursday brought some new snow and a day of great tree skiing in McLeod Creek, and by Friday there was 10+ cm of fresh powder which meant a stellar end to the week! 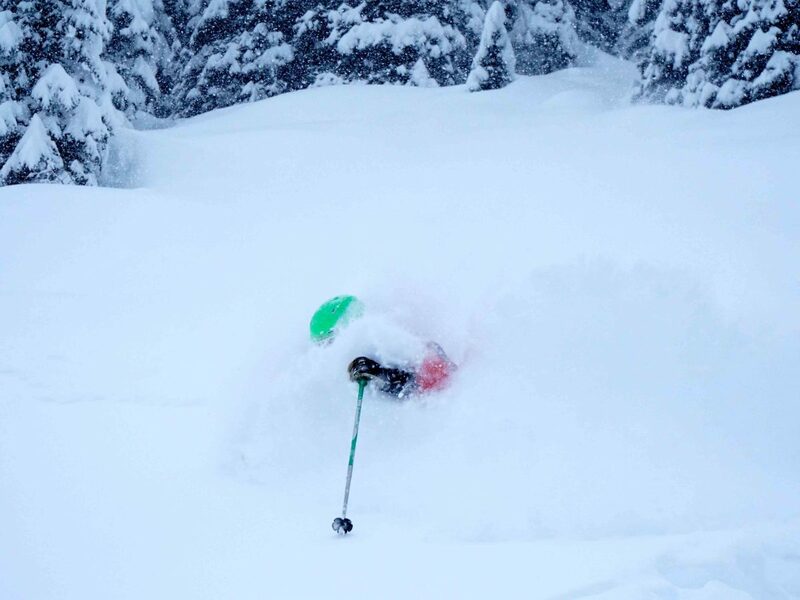 We had a sunny start to Tour 12 but that quickly changed as an early spring squall rolled through and dumped 50+ cm of powder throughout the day on Monday. 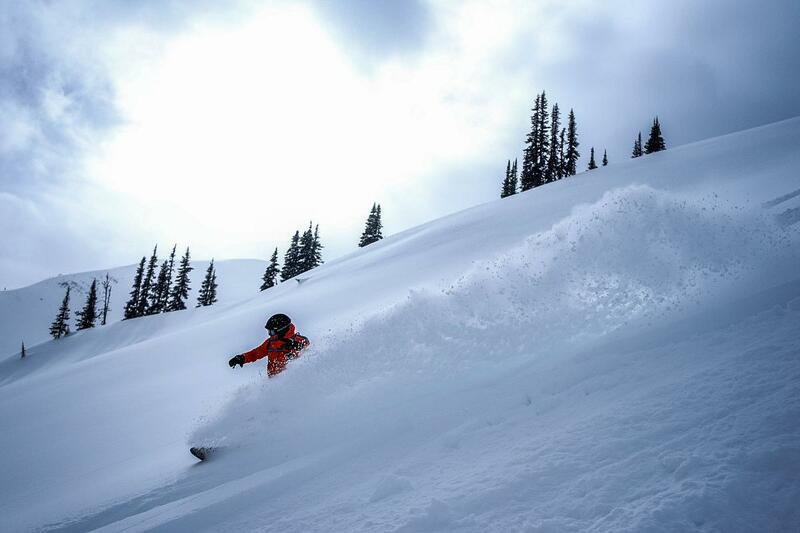 The middle of the week was chock full of face shots in McLeod Creek and silky-smooth turns in the Morkill, and we had some tired but very happy guests returning to the lodge everyday for après. We had a bonfire in the works for Thursday after dinner but Mother Nature had other plans for us, and we opted to stay warm and cozy around the bar indoors while more snow came down all evening. 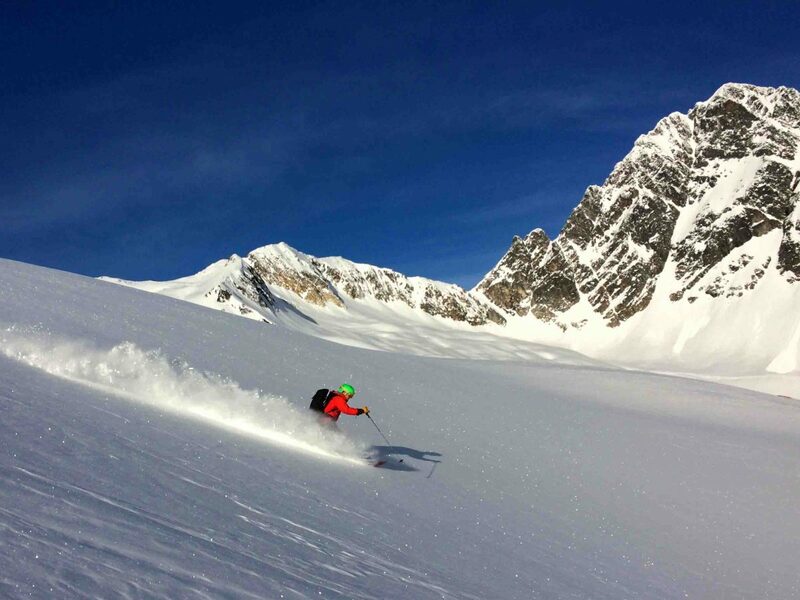 No one was complaining though, and a spectacular day down south on the glaciers meant big smiles and tired legs all round to finish up the week. 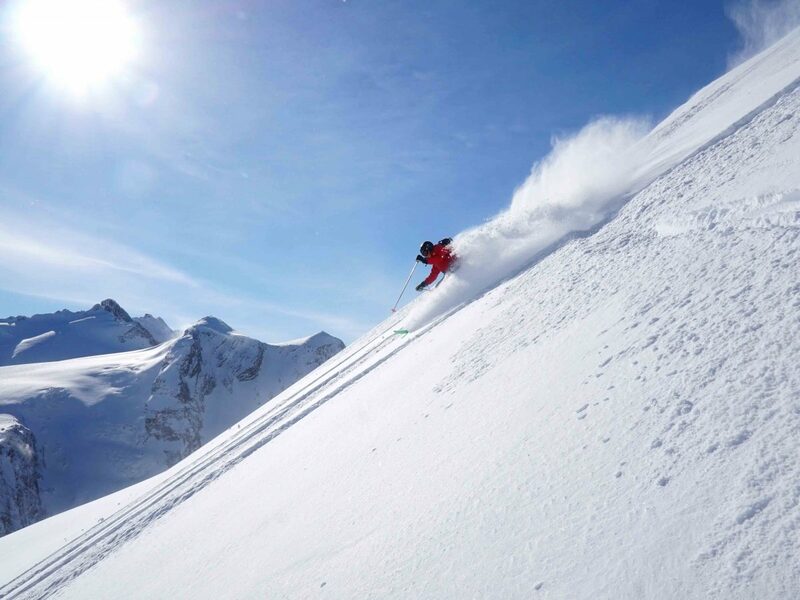 Tour 13 has started out with a couple of bluebird days and more glacier skiing, and as the season slowly starts to wind down for us, we have high hopes for an epic finish! 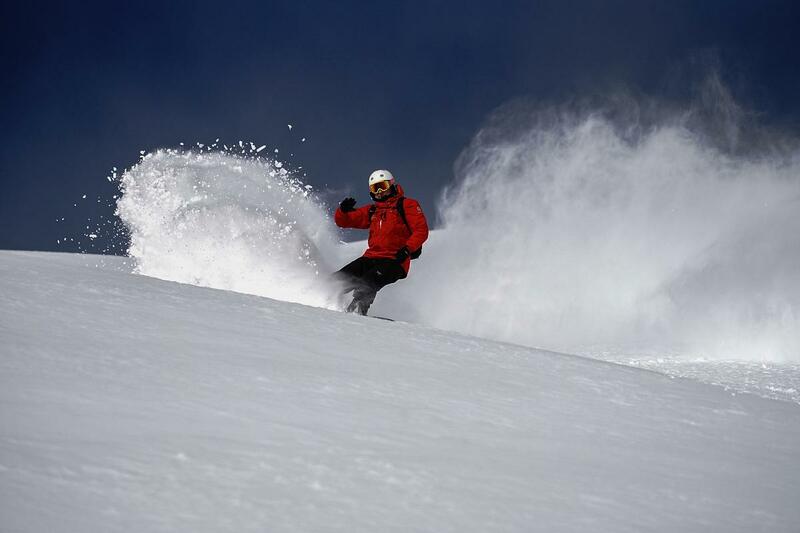 Tours 9 & 10 – Blue Skies & Powder! 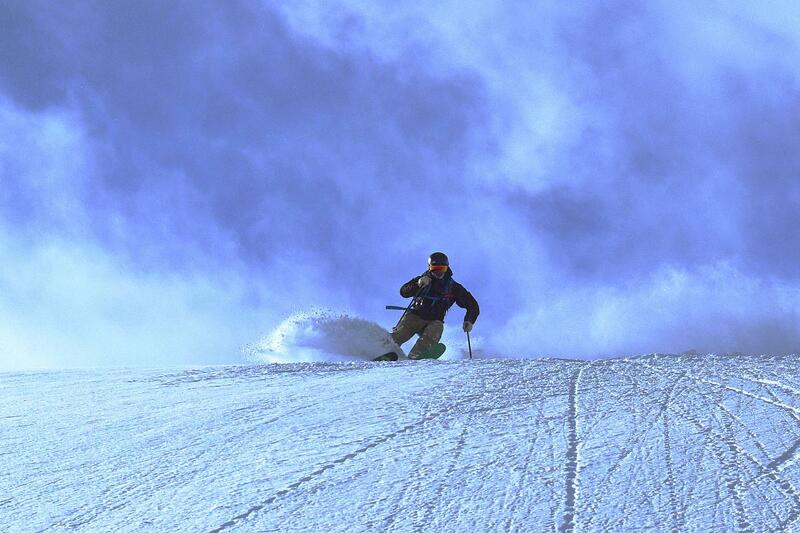 It’s March and spring skiing is upon us at the Spur! 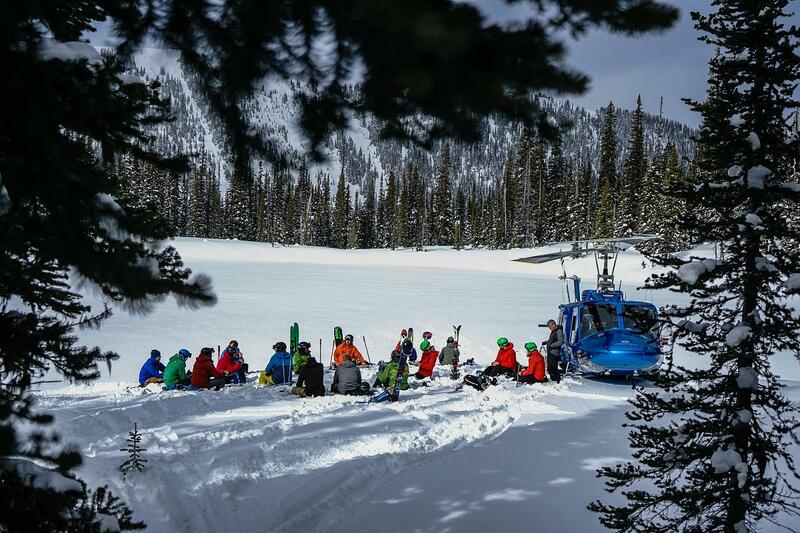 Longer days mean more time spent in the mountains and there’s definitely no one complaining about that around here. 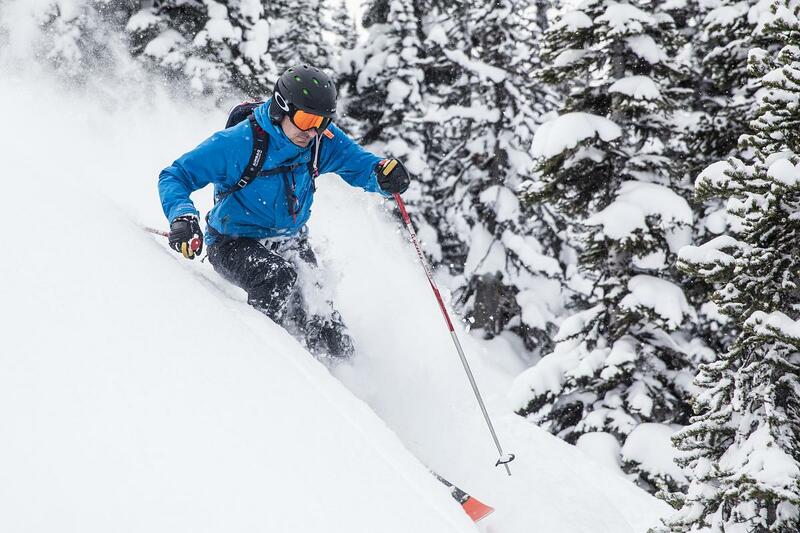 Deep Powder Skiing in Macleod Creek – A Crescent Spur Classic! Tour 9 (two weeks ago already – holy smokes!) 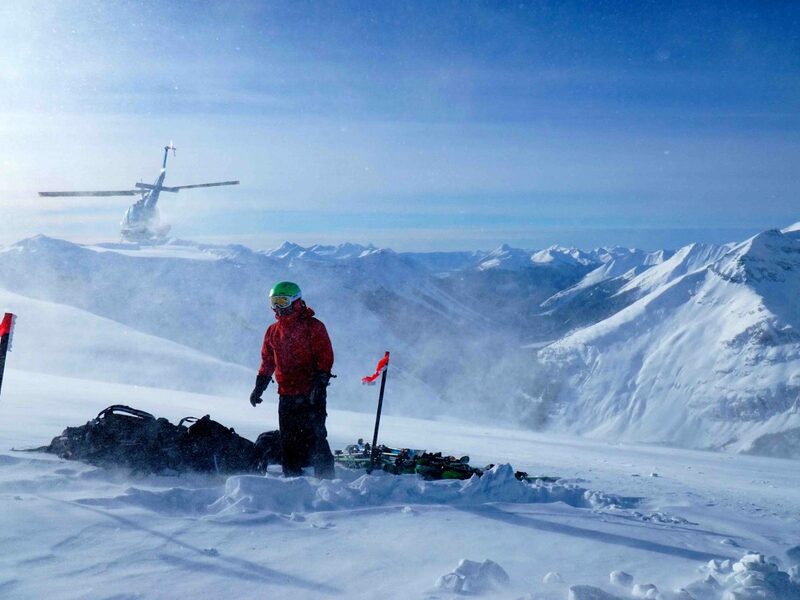 started out cold and clear and the groups spent several days skiing long glaciated lines down south in the Cariboos before some new snow started falling mid-week. 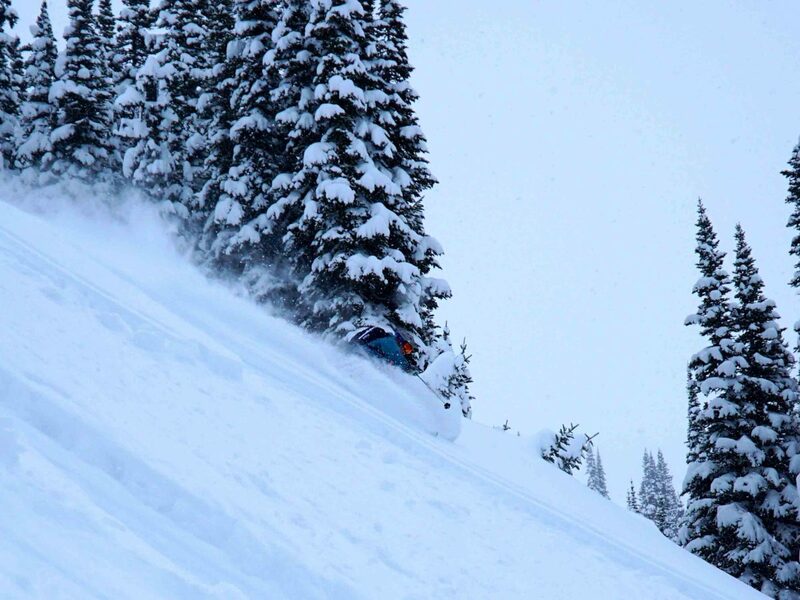 By Friday 50cm of fresh had accumulated in some areas and the groups took advantage of classic deep powder skiing in the Morkill zone of the Rockies. 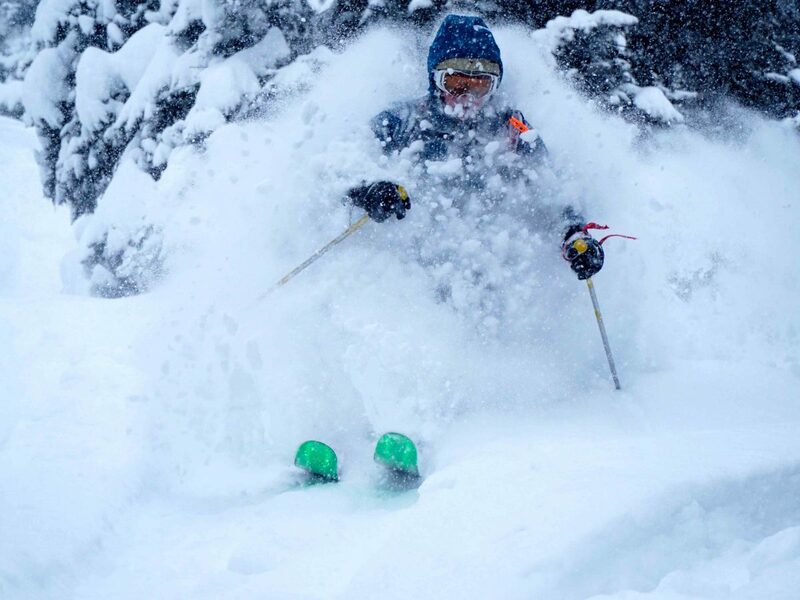 The Face of Pure STOKE! 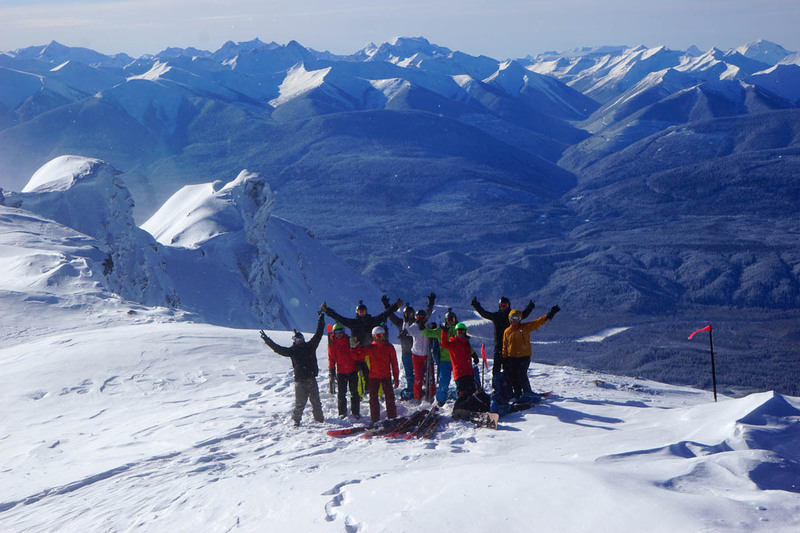 Tour 10 brought a week of clear, chilly weather and spectacular bluebird days spent entirely in the Cariboos. 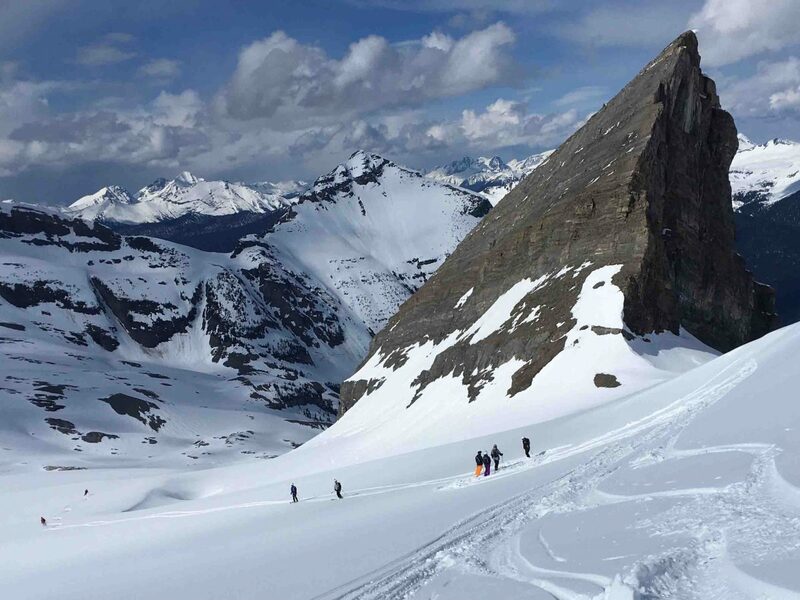 The groups made fresh tracks on high glaciated peaks in the Dore/Wendle zone, zig zagged through old growth forests in McLeod Creek and took full advantage of everything in between. 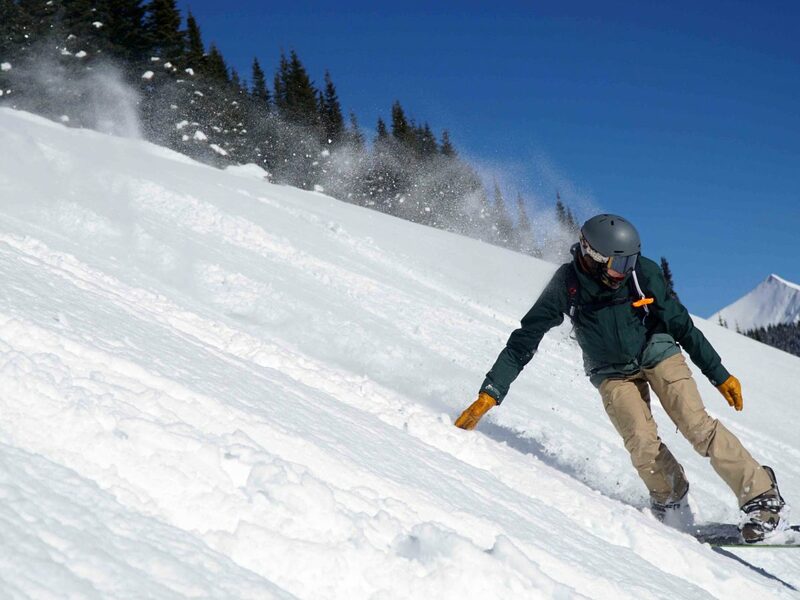 Low hazard and good weather meant a few brand-new runs even made the cut – one stand-out has been dubbed “Diggin’ It” after Diggins Lake in the Zig Zag zone, famous for trophy sized Rainbow Trout and now also for awesome skiing. 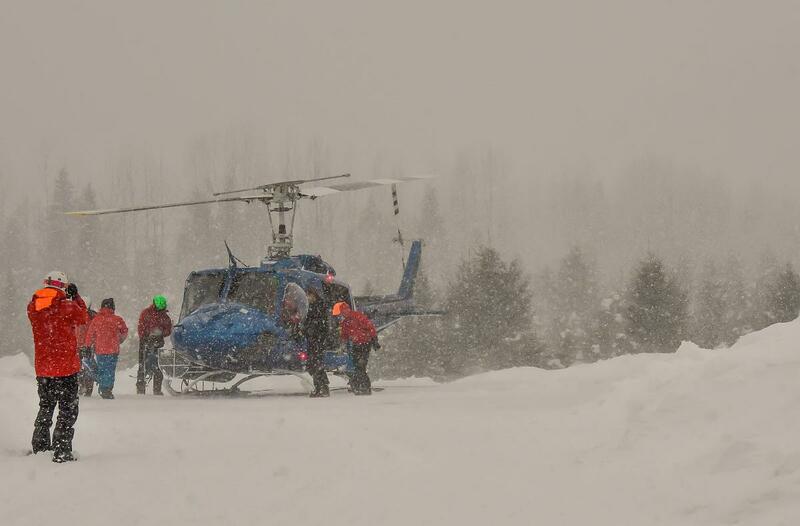 Brodie’s First Heli-Boarding Experience was a Great One! 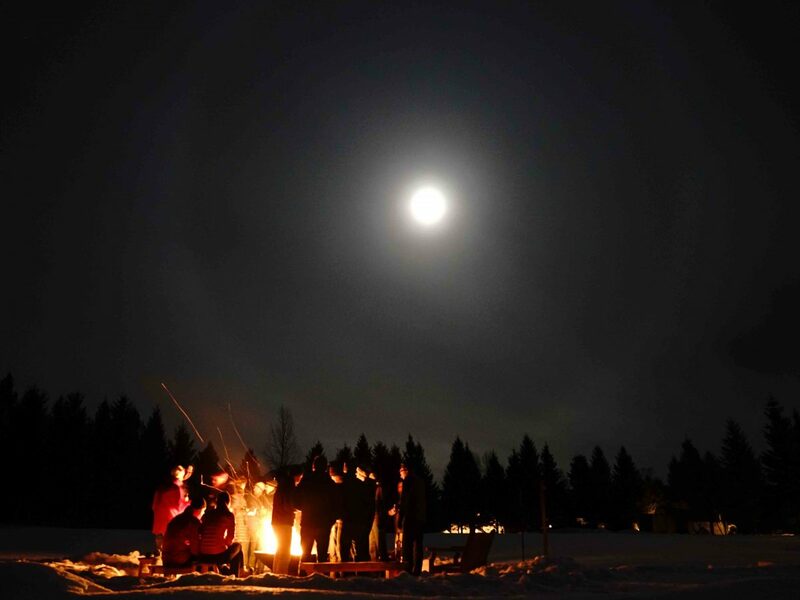 In between all the great runs in the mountains we managed to fit in a little bit of fun down at the lodge too – our weekly bonfires were in full swing, the infamous ping pong game made another appearance and we’ve introduced some new Okanagan ciders at the bar so of course we had to host a tasting session last week. The season is continuing to cruise along up here and today marks day one of Tour 11. The groups are skiing Kicking Country under crisp blue skies and we’re looking forward to seeing where the rest of the week takes them. Tour 6- An Epic Week! Epic was the word of the week during tour 6, which had a little bit of everything going on. Sunday started out with some challenging conditions in the Morkill zone, but after lunch the weather cleared up and the groups finished up their day on 12 Mile Basin under blue skies. 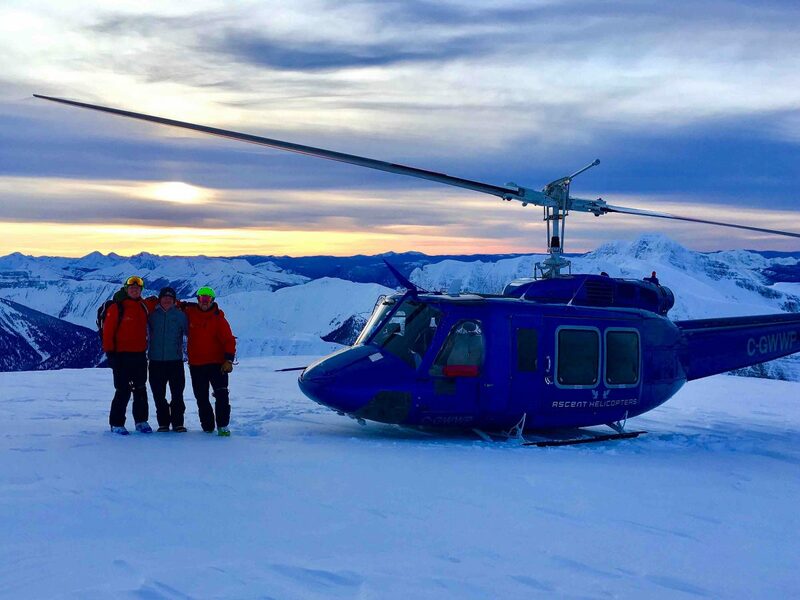 The next couple of days saw mostly clear weather and light wind, and the groups spent two days in a row exploring the southern most part of our tenure in the Cariboos. There was definitely no shortage of epic views on long glaciated runs that started in the alpine and ran all the way down to the valley bottom. 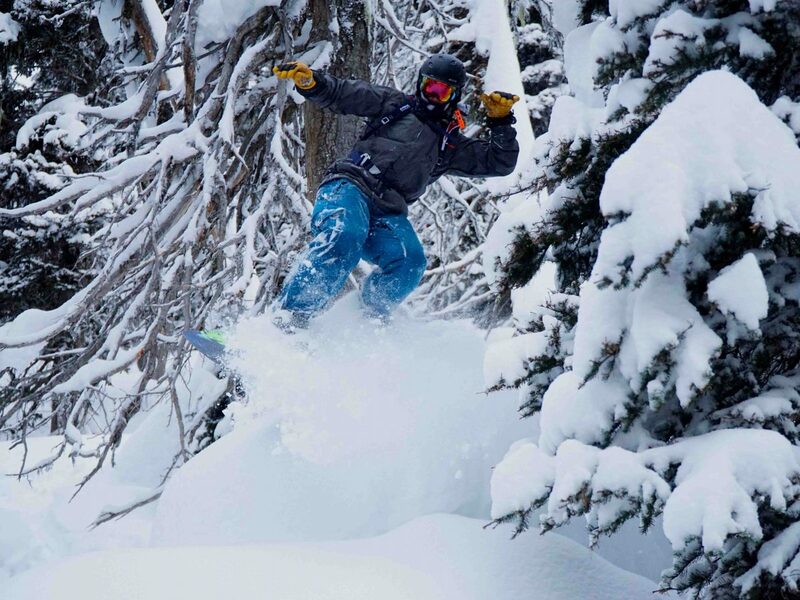 A wild powder hound emerges from the trees! 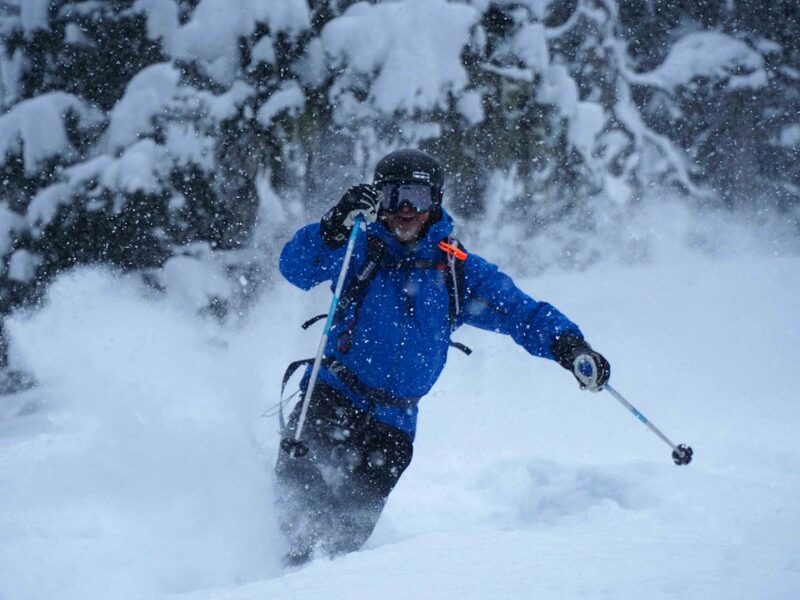 Mid-week we saw the beginnings of a storm system move through which meant the days were slightly shorter but the skiing was equally as great as earlier in the week. 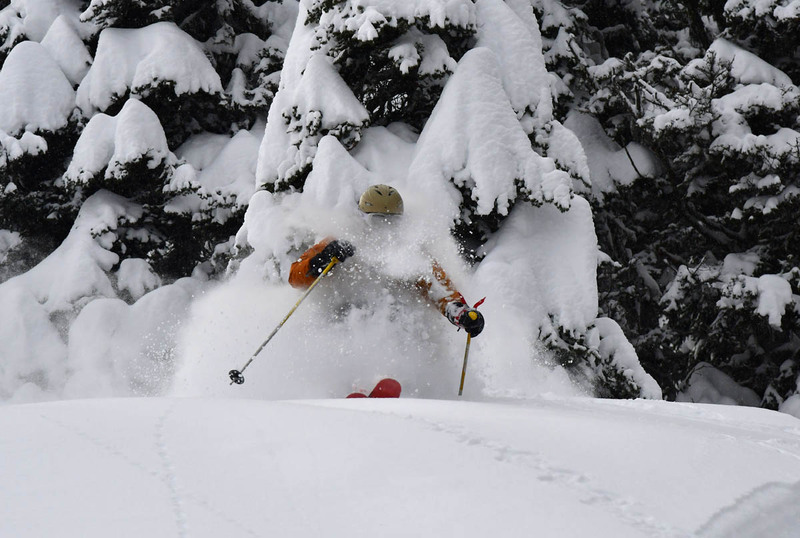 It also meant that when Friday dawned there was 40cm of fresh powder in MacLeod Creek with more still falling, and as our guide Ari described it, it was “classic face-shots-all-day type of tree skiing” on runs like The Quickening and Highlander. 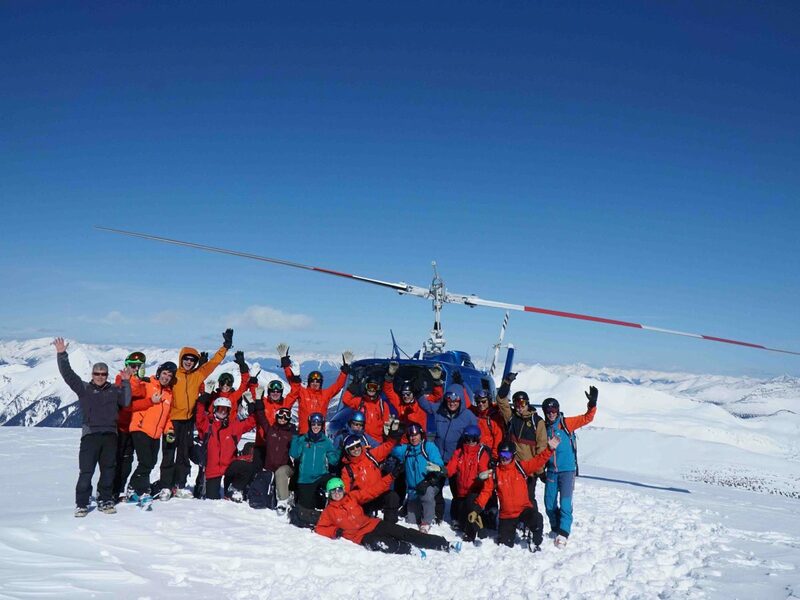 More than a couple of our guests simply called it “epic” upon their return to the lodge, and at dinner everyone was exhausted but happy after a pretty fantastic week of heli-skiing. 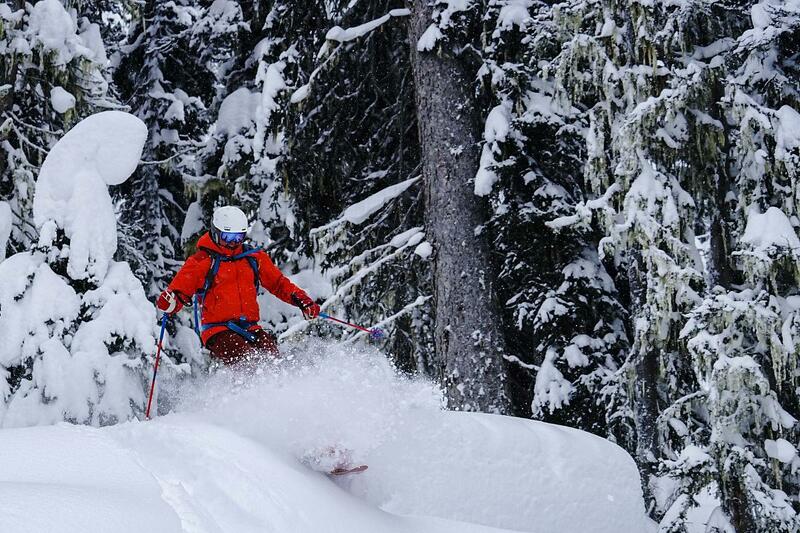 Classic ‘face-shots-all- day’ type of tree skiing! 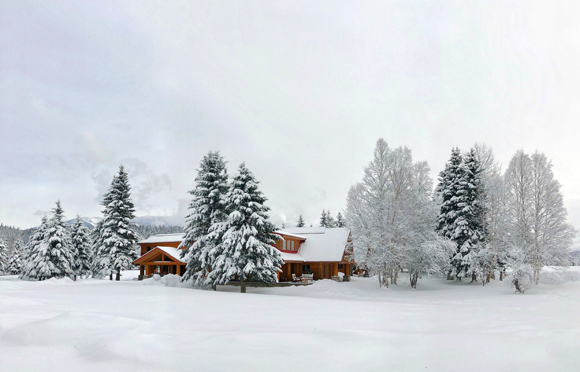 The snow continued to fall overnight on Friday and we woke up to a winter wonderland down at the lodge Saturday morning. 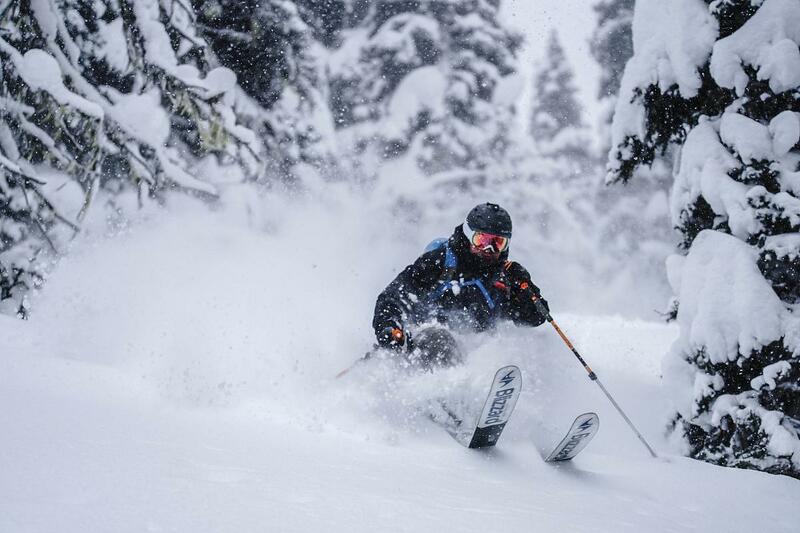 Tour 7 gets underway this morning and we’re excited to see what kind of epic skiing the fresh powder holds for our guests this week! Tour 5 at Crescent Spur is now done and dusted and it’s a bit hard to believe that at the end of this week we’ll be a third of the way through our season. It’s true what they say, time sure does fly when you’re having fun! 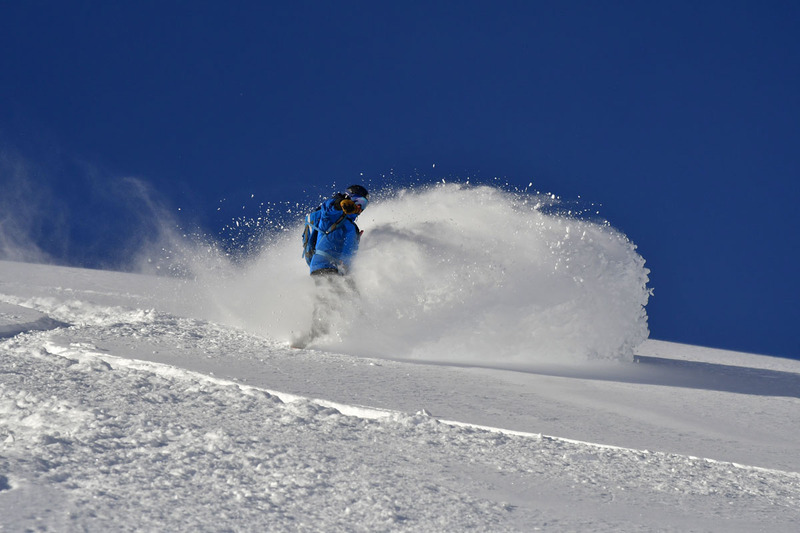 In contrast to the mostly clear skies during tour 4, tour 5 was cloudier and snowier meaning a week of awesome powder skiing for our guests. 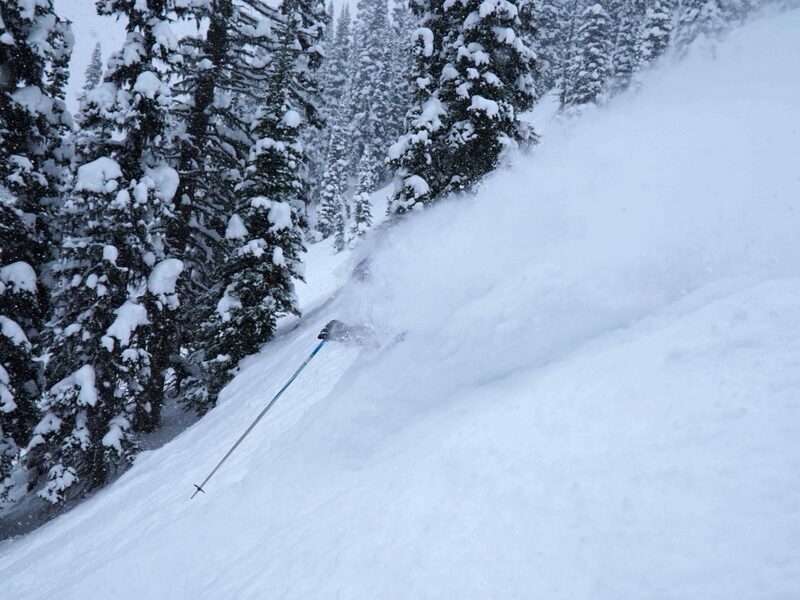 A midweek highlight for guests and guides alike was skiing the Quickening in MacLeod Creek and getting over-the-head face shots all the way down. 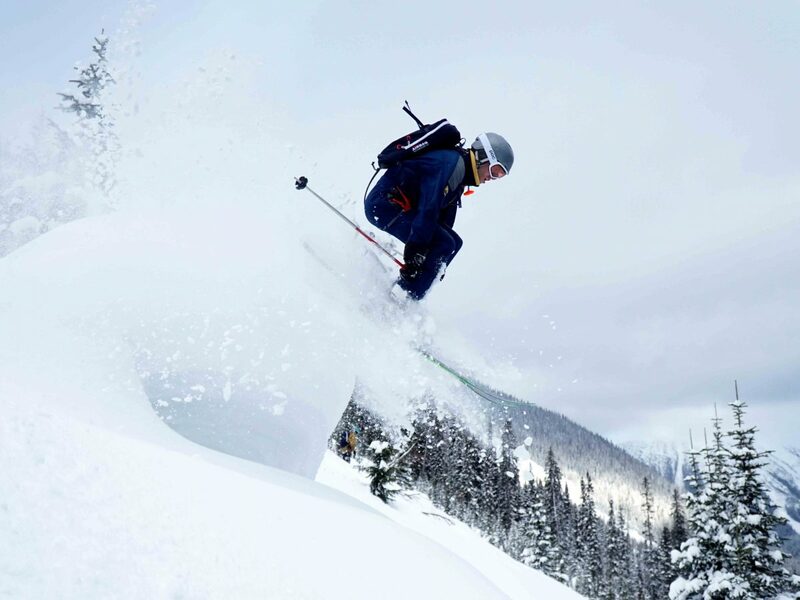 The hazard was low for the week as well allowing the groups to ski some less frequented runs including Vanessa in the Mount Rider zone, and Lagavulin and Viagra in MacLeod Creek – tree skiing at it’s finest! Our honorary event coordinator, the heli-devil himself, Mr. Garry James, spent his third consecutive week with us during Tour 5 and had us playing all kinds of games every night after dinner. Between the infamous ping pong game, singing along to Bohemian Rhapsody at the bonfire and Richard’s nightly post-dinner jokes, there was hardly a dull moment around the Spur last week. Tour 6 got underway on Sunday and although the morning presented some challenging conditions, after lunch the weather cleared up and the afternoon was spectacular, a trend we hope continues for the rest of the week – we’ll keep you posted! 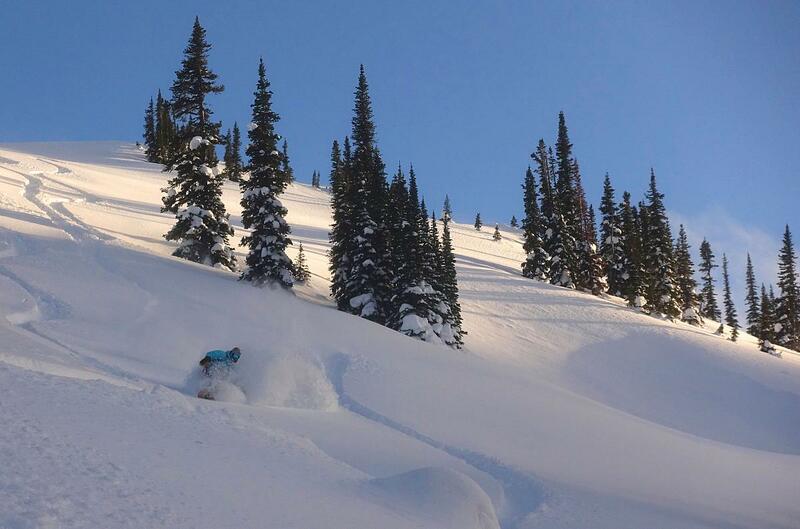 Skiing has been awesome over the last couple weeks and Tour 3 started with 60 centimetres of fresh powder and some great tree skiing in both the Cariboos and the Rockies. 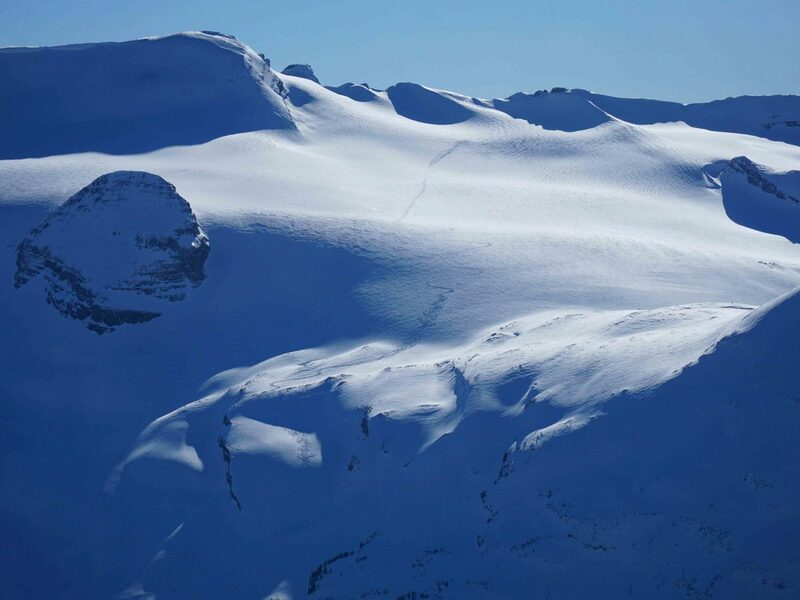 As the week progressed temperatures warmed up a bit, bringing blue skies and fantastic days in the alpine. 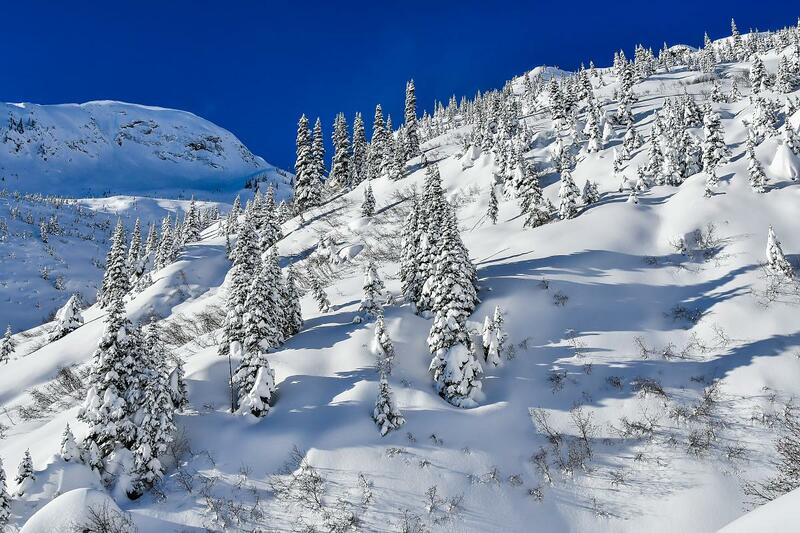 Our guides reported great coverage all the way down to lower elevations where the vegetation is buried deep in snow – a good sign of things to come this year! Enjoying the fresh 60 cm on Highlander! 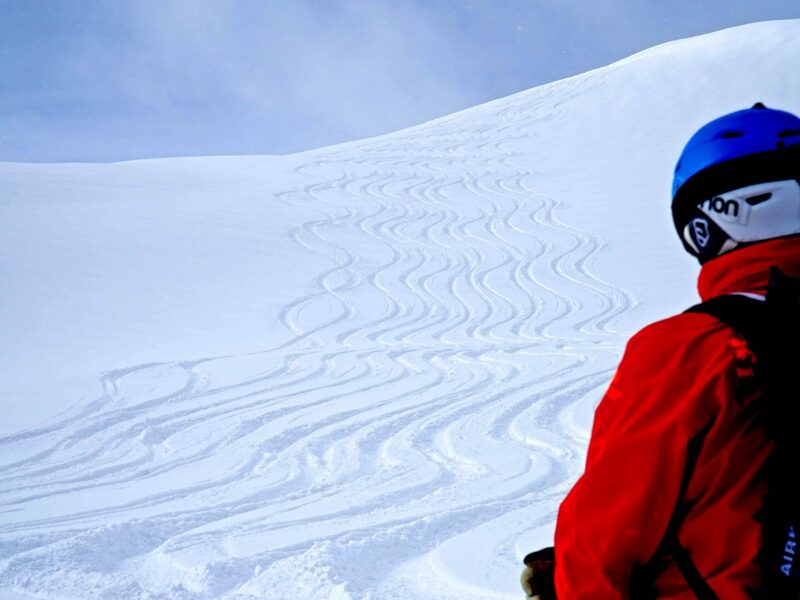 Tour 4 was all about bluebird conditions with almost no wind at all, and our guests got to thoroughly explore all four zones that make up our tenure. The weather also meant they enjoyed lunch at the tops of the runs four days in a row which, according to our long-time guide Jesse, might just be a Spur record. 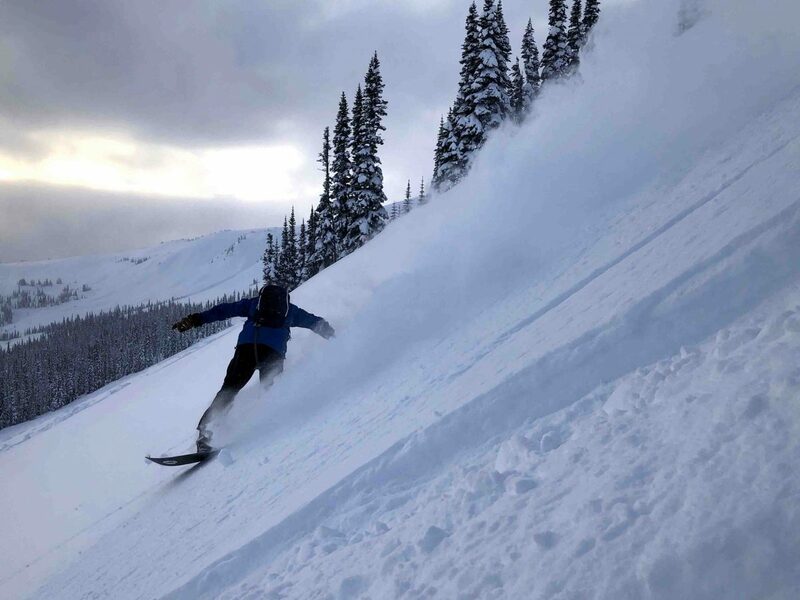 The first day of the tour was spent in the Rider zone of the Rockies, skiing several runs that haven’t been touched in a few years including Energizer and Vanessa. 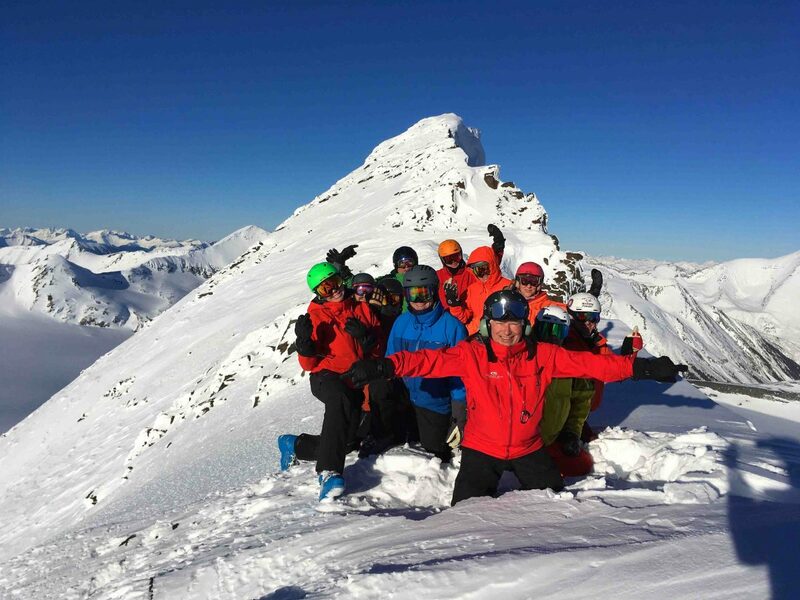 Day two had the groups over in the Cariboos on some classic runs like Notre Dame and Quasimodo, as well as Vintage which hasn’t been skiable in 8 years due to crevasses in the glacier – pretty neat for both our guides and our guests to get back out there this season! Notre Dame in all its Glory!! 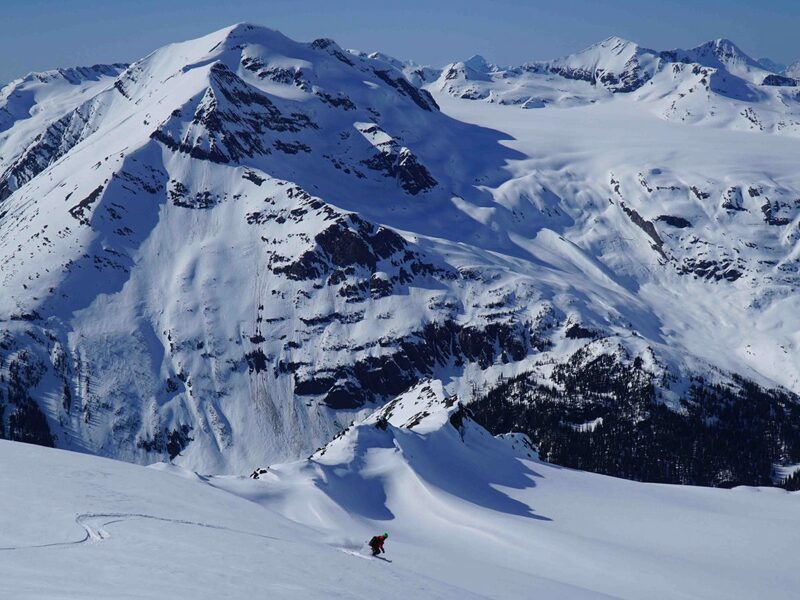 The middle of the week featured a mix of long glaciated lines and steep tree skiing in the southern Cariboos, and more lunch breaks spent at the tops of the runs under blue skies and sunshine. The groups also got out on the Haggard Glacier in the Rider zone for the first time this year, and on Friday as new snow began to fall, they stuck to the Rockies, skied every chute on Kicking Country and made fresh tracks on a brand new run that’s now been dubbed ‘Mama’s Girl,’ inspired by the Spur classic ‘Mama’s Boy,’ where they finished up their day and their week. Back down at the lodge an unreal week of heliskiing was celebrated with fresh oysters and specialty cocktails during après-ski, expertly grilled steaks and perfectly paired wine at dinner, and then topped off by a slideshow of the week’s photos put together by our fantastic guides (who also greatly contributed to the content of this post – thanks Milner!). A Happy Bunch! 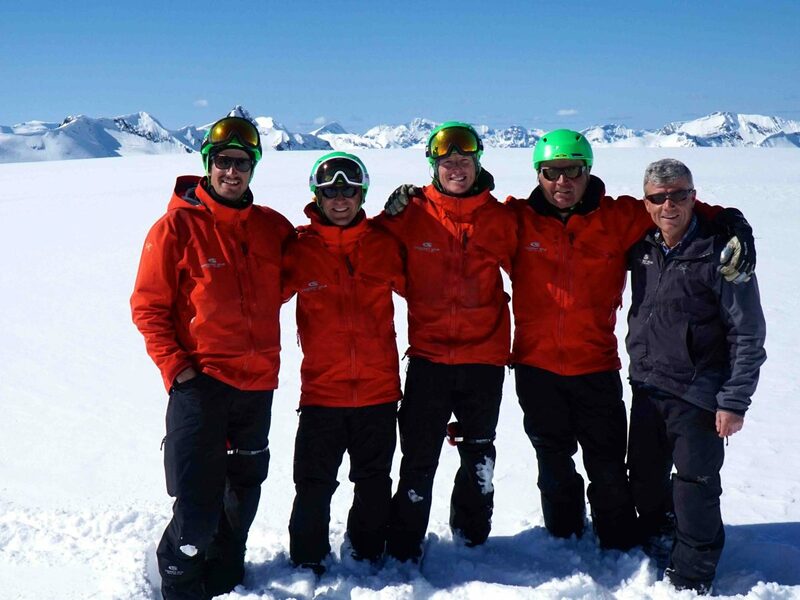 Thanks to Bruce & The Snow Performance Gang for a Great Week! January continues cruising along up here and yesterday afternoon we welcomed Tour 5, a mix of new and familiar faces, and we’re looking forward to what the week has in store for everyone! 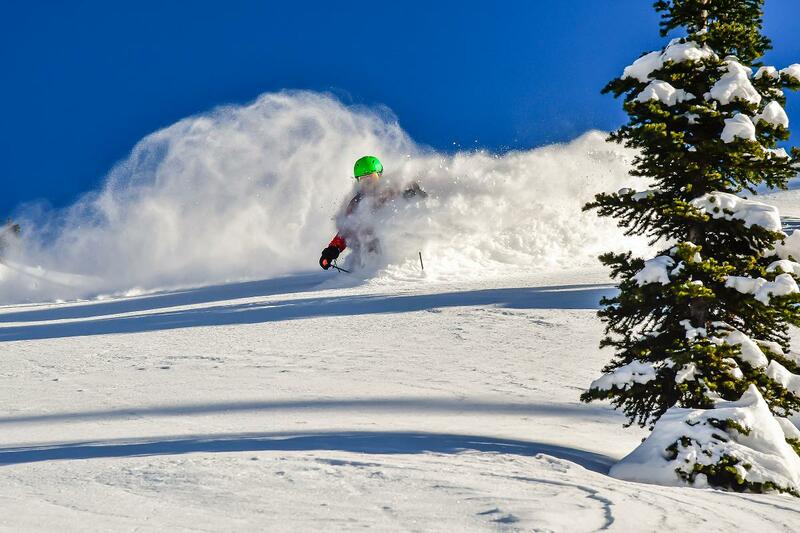 Just 3 Seats Left in This Epic Season! 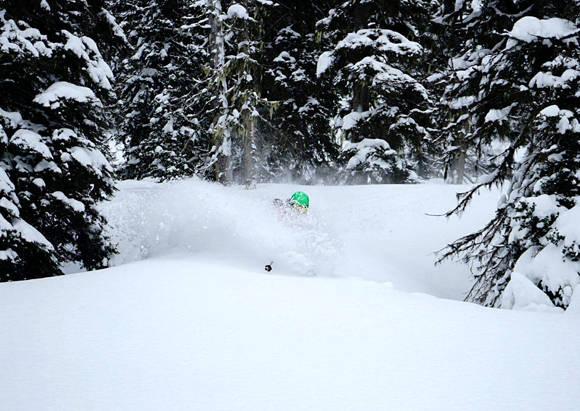 March 30 ~ We woke up to another 6″ of fresh snow! Over 3 feet in total for the week! 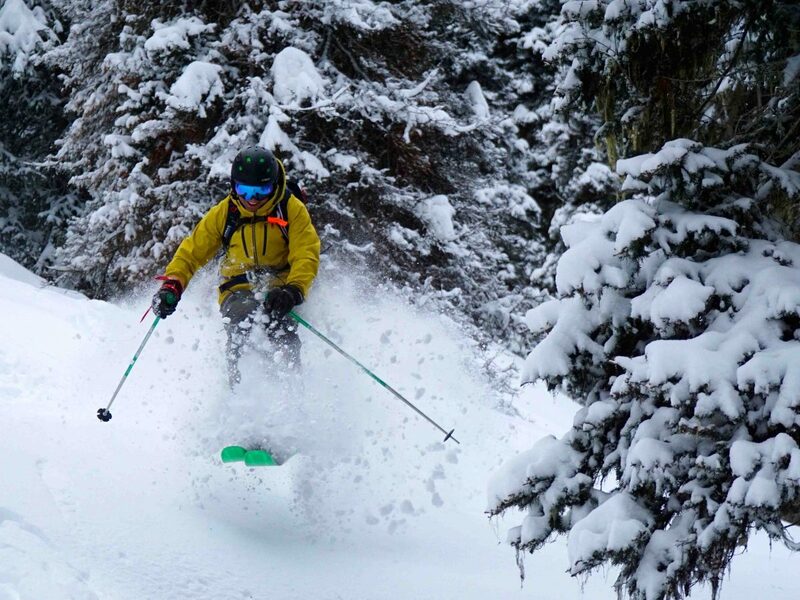 Spring has not sprung in the Spur, and winter like ski conditions continue. 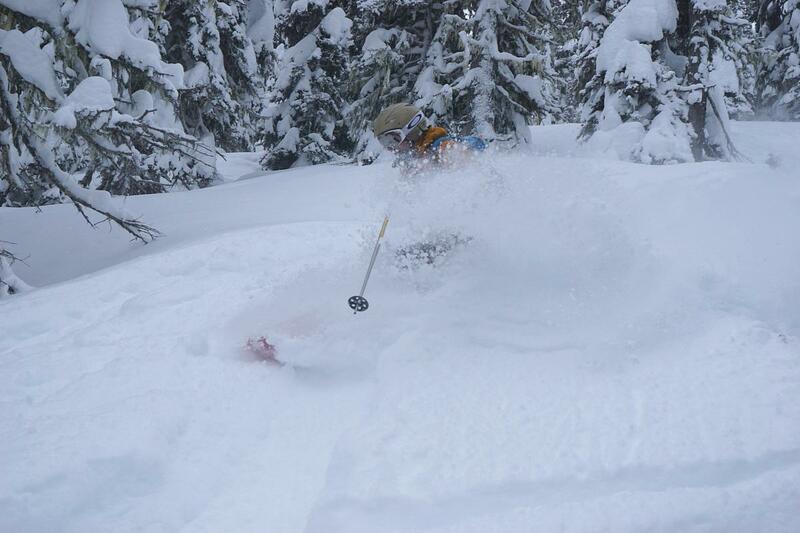 Over 3 feet of snow has fallen this week – and 6″ of fresh just last night! 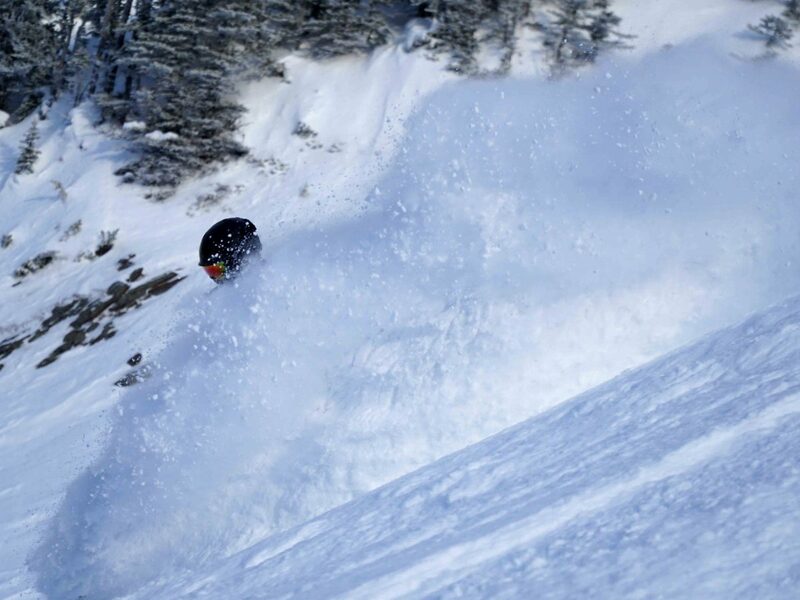 Cool temperatures and more snow are in the forecast of the coming weeks. We have 3 seats left in the final week of our season – April 7-14, 2018. 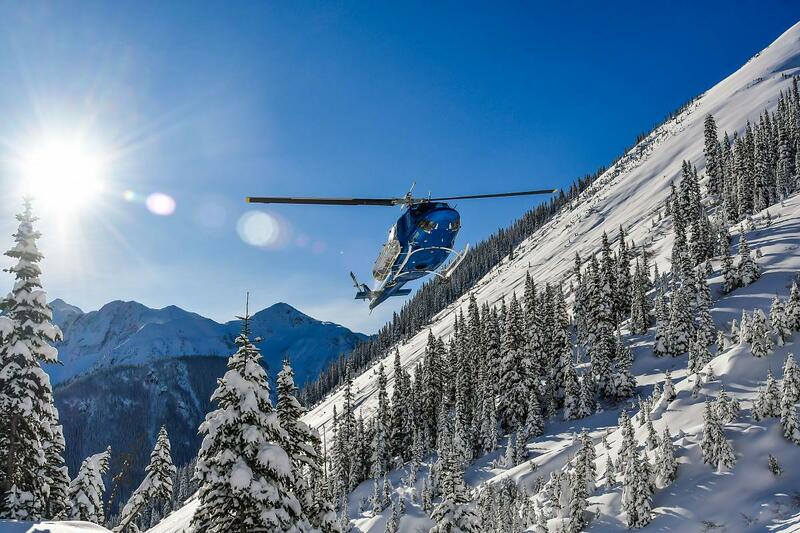 This is a unique package – with a maximum of 10 guests having exclusive use of the lodge, helicopter and terrain. A “private” group experience for the special price of $8,255 CAD + tax. Call us for more details! 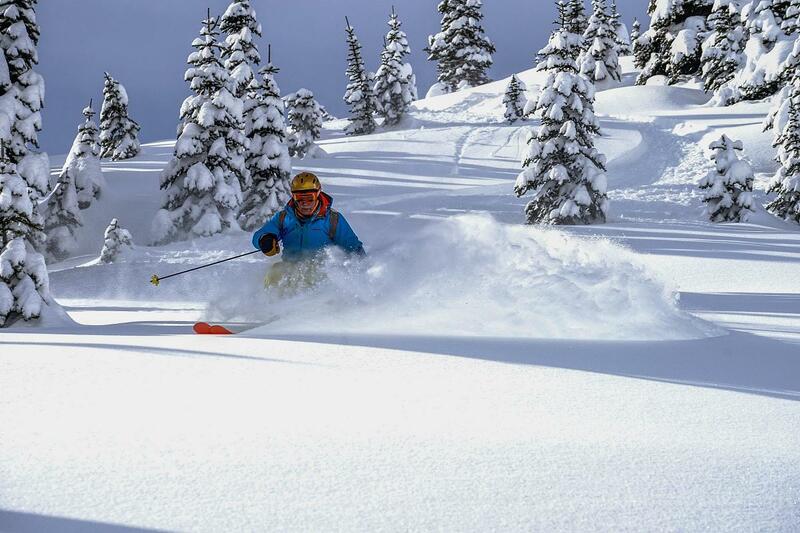 1.800.715.5532 We hope join us for April powder in the mountains and après ski on the deck in the sun! 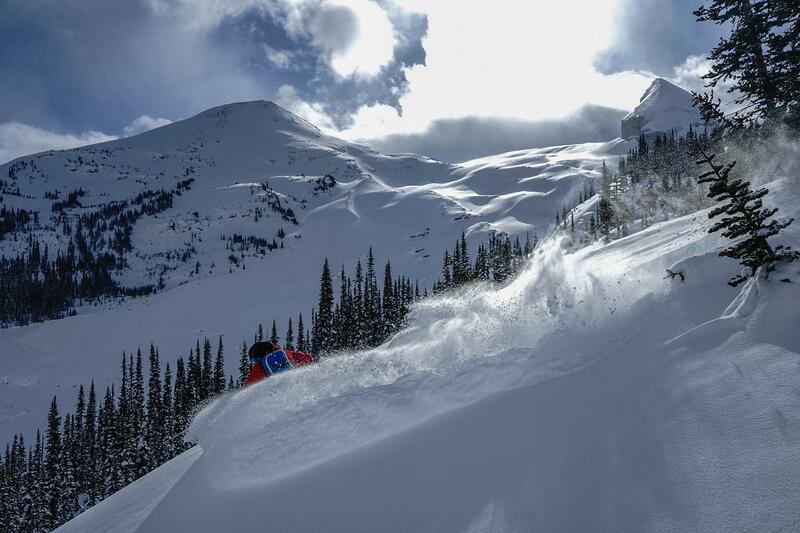 Check out our Instagram & Facebook feeds for more shots of this incredible season! Macleod Creek still delivering at the end of March! March came in with a BANG! Another great week in the books to keep an epic season rolling. 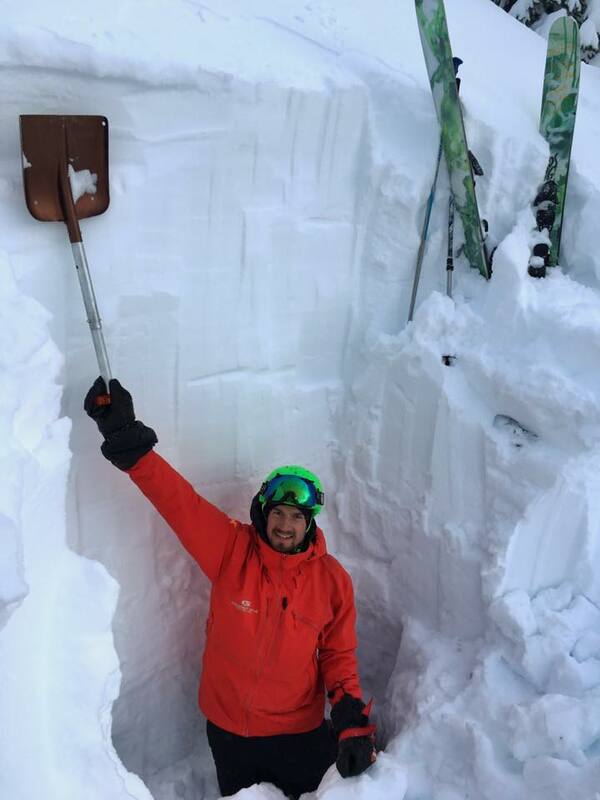 A series of small convective cells delivered 50cm of new snow throughout the week, keeping things fresh and over the boot tops. Temperatures started out a bit cooler, but warmed up to a pleasant -5 degrees by the end of the week. 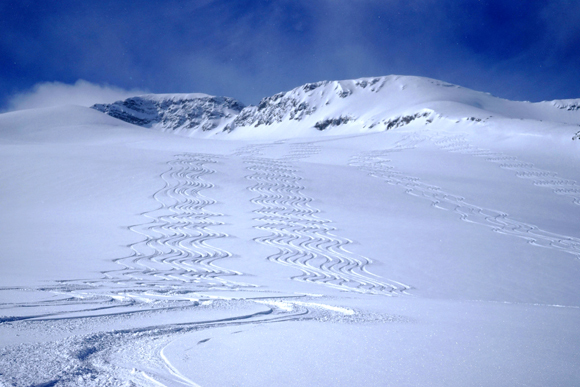 Conditions allowed us to explore the Morkill, Dore/Wendle and Mount Rider zones, meaning we were able to ski all the best of our terrain – from our naturally gladed tree runs to big open glacial tracks. Thanks to our guests from Slovenia and across the USA for a great week! Last Minute Spaces Available March 3-10! 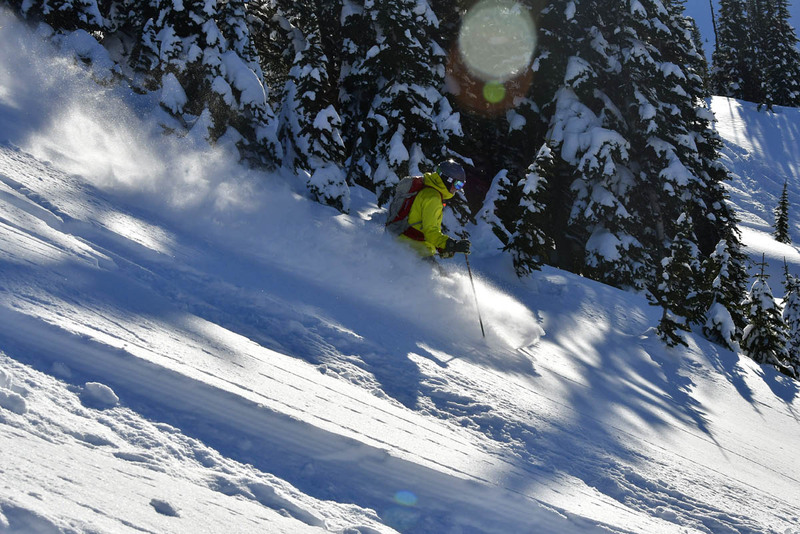 The skiing this winter has been epic, and the forecast is looking good for the coming weeks! We have 2 last minute spaces available in Tour 11-18, March 3-10! Call the office for details. 1-800-715-5532 (+403-281-1107). Here are a few pictures from the last week to give you an idea of what you would be signing up for….